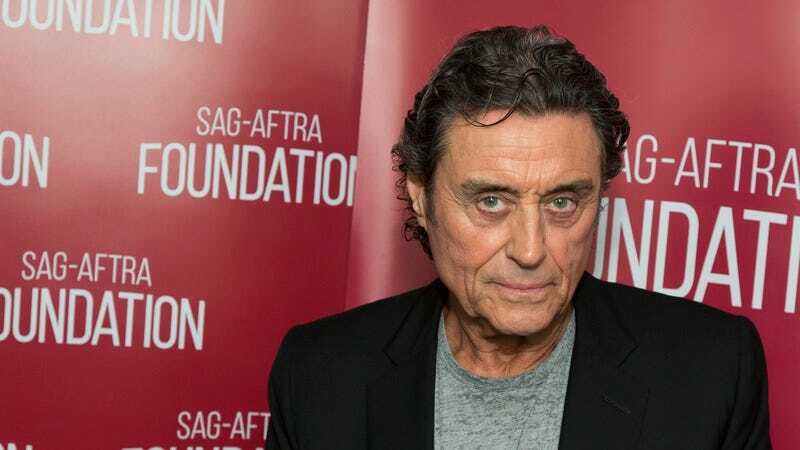 Ian McShane is about to take a swing back on the “Good Mentor/Evil Mentor” pendulum that pretty much defines his career these days; per The Hollywood Reporter, the American Gods star has signed on for Nate Marshall’s upcoming Hellboy reboot, playing the kindly father figure to David Harbour’s red-skinned, cigar-chomping monster hunter. McShane has signed on to star in Hellboy: Rise Of The Blood Queen as Professor Brutenholm (pronunced Broom), the occult researcher who raised Hellboy from a little Hellbaby into the fine Hellman he is today. The character was played by John Hurt in the Guillermo Del Toro film version, which expanded his part from a largely off-camera role in Mike Mignola’s original comics. The new film will see Hellboy and his adopted dad facing off against a sanguine sorceress with an eye on wiping out mankind.